Do you know what supplements you need? 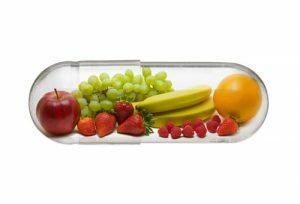 Beyond vitamins and minerals – Do you know what supplements you need? Years ago, when you perused the drugstore shelves for vitamins and minerals, you probably came across what looked like alphabet soup. There were vitamins A, C, D, E and several types of vitamin B, in addition to minerals like iron and calcium. However, the more research scientists have performed through the years, the more we have learned about the benefits of other nutrients for the body. First, make sure you have a complete multivitamin/mineral supplement. It should contain vitamins A, C, D, E, the array of B-vitamins, magnesium, calcium, copper, chromium, iron and other minerals. All of these should be present in their most bioactive forms. Choose an omega-3 supplement. A wealth of clinical research suggests omega-3 essential fatty acids support optimal health for the cardiovascular and neurological systems. This nutrient can be extracted from either plant or seafood sources. Select an additional vitamin D supplement. Your multivitamin/mineral supplement may contain vitamin D, but recent studies show that Americans are woefully deficient in this vitamin, which promotes healthy bones, nervous system and immune function. Choose antioxidants, such as citrus bioflavonoids, green tea extract and curcumin. Many of these naturally occurring antioxidant compounds have been linked to a reduced risk of developing chronic illnesses, such as cardiovascular disease and certain cancers, in dietary intervention clinical trials and epidemiologic studies. Whatever you choose, be sure to read the labels carefully. Make sure supplements are independently tested for contaminants and don’t contain any fillers, preservatives or other artificial ingredients. In theory, we should all be able to obtain all the nutrients we need through the foods we eat. However, there are several challenges here. For one thing, choosing and preparing the right foods to eat is a time-consuming process, and the rigors of a full-time job and running a household don’t always leave time for this. Furthermore, the standard American diet of industrialized farm food typically does not provide much in the way of nutrition. It is loaded with plenty of calories, trans fats, high-fructose corn syrup, manufactured and processed foods, preservatives and chemicals. Much of this food has to be “enriched” to replace nutrients. The reason our conventional food supply must sometimes be “enriched” is because it originates from crops raised in soil where nutrients have been depleted, and where plants have been exposed to pesticides and chemicals that also diminish their phytonutrient content. If you want to focus more on deriving nutrients from your food, opt for organic products, which research shows contain higher levels of vitamins, minerals, antioxidants, essential fatty acids and other nutrients, compared to conventional mass-produced foods. Ultimately, these healthy choices add up to make nutrition one of the most important positive steps you can take toward wellness.